There are actually two soundtracks – the Goblin score specifically composed for the film and the DeWolfe library tracks that were tailored to fit certain scenes in the American versions. We will first cover the Goblin soundtracks. In conjunction with the September 1978 release of Zombi, Italian record label Cinevox was first to issue a soundtrack album (MDF-33.121) of Goblin’s music with Polydor licenses following in France (813-254-1) and Germany (2374-158). 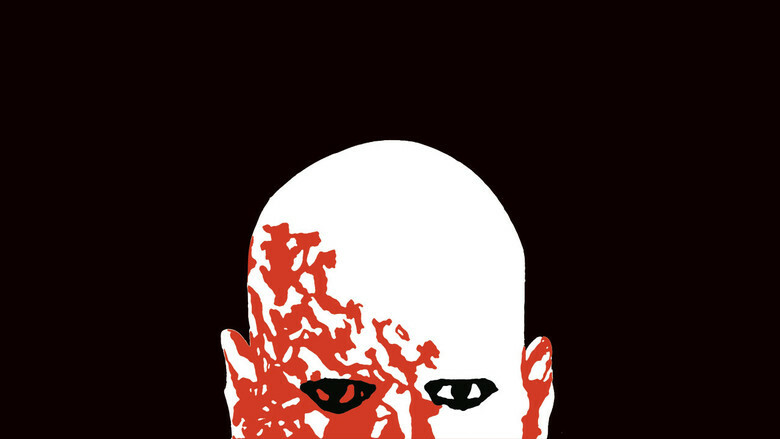 Both the Italian and German used the black and white bald zombie on the horizon graphic, the latter adding small stills from the movie on the bottom of its cover. The extremely rare French version followed Style A poster’s zombie crowd painting motif. Cassette counterparts (Italy, France and Japan) are mega scarce especially for Germany (3161-158). Italians released the score four more times. Cinevox was first in 1980 with a reduced-priced LP (5036), and with a sampler (5035) coupled with tracks from Dario Argento’s Tenebrae. Both went to CD in 1990 as well as (MDF-33) and (CD-CIA-5035). The most recent vinyl was from as late as 2000 when Dagored (DAG117LP) went through the trouble of making a limited edition gatefold cover with a blow-up of one of the Fotobuste cards of the ice rink zombies for an unlikely cover and a free poster inside. The Japanese Seven Seas label used a still as well, of the elevator attack for their LP (FML-113) and 7″ single (FMS-90) of ‘L’alba dei Morti Viventi’. Both are equally as rare, but the cassette (FMC-119) is definitely hardest to find. The Japanese CD is one of the most common versions available having been issued three time by Nexus: (KICP-438) 1987, (KICP-438) in 1994 and (KICP-2863) in 2000. Following the graphic seen on the first Italian LP, the title appears as “DOWN of the DEAD” on each of these pressings. Yet another edition was included on the Japanese “Conclusion” box set, called the Appendix CD (NKCD3037). Perhaps most elusive of these is the Varese Sarabande CD (VC47106) available only to CD Club members back in 1987 shortly after the discontinuation of the vinyl counterpart (VC81106). One may notice the tracks are not only translated to English only but changed: “Zombie” leads the disc, with the title track “Dawn of the Dead” following! Furthermore, the record’s liner notes incorrectly credit Maurizio Guarini who did not perform on the recording. Incidentally this was Goblin’s only domestic release and arguably their best performance. With Claudio Simonetti on piano, Moog synthesizers, Mellotron and violin, Fabio Pignatelli on Rickenbacker bass and acoustic guitar, Agostino Marangolo on Gretsch drums and percussion, Massimo Morante on electric and acoustic guitars and occasional violin, Goblin recorded the album with producer Giorgio Agazzi at Trafalgar Recording Studio, Rome in 1978. Only the first two tracks were initially recognizable to fans who had only seen the American version. “L’alba dei Morti Viventi (Dawn of the Living Dead)”, opens the record as it also opens the Argento cut. The American version placed it in the sequence after Roger is nearly bitten by the blonde zombie in the truck. Next is the tympani and keyboard assault of “Zombi” heard in most battle scenes. “Safari” is the jungle piece Argento wanted for the gun shop scenes. The ragtime piano melody of “Torte in Faccia (Pie in Face)” is for the obvious. “Ai Margini della Follia (Edge of Madness)” with its whirling synthesizer, is used in the Argento prints where there are confrontations at the airport and when Krishna zombie enters the hideout to get Fran. Side two starts with “Zaratozom (Shriek)”, a rock piece created for the biker invasion in the European versions, and is about three and a half minutes long. “La Caccia (The Hunt)” is the truck moving music in the American prints. “Tirassegno (Target Shooting)” is country music (Italian style with fiddle) and was created for the redneck scenes instead of Peter Reno’s “Cause I’m a Man”. “Oblio (Oblivion)” is the Pink Floyd-esque montage Argento used for the mall zombie clean-up. “Risveglio (Awakening)” is a minute-long piano piece which is heard in the Argento cut where Fran is crossing out days on the calendar. The commercial success of Goblin is evident in the number of compilations, some of which contain Dawn track(s). The first is a LP called Goblin Greatest Hits (Cinevox ORL 33.8305 -Italy) which includes “Zombi” and was issued a year after the Zombie soundtrack. The CD version (Cinevox CDF-0002) came out in 1984, and three years later one more ‘hit’ was added to this disc’s reissue. In 1982, Polydor France issued a collection entitled simply Goblin with “Zombi” and “Oblio”. “L’alba dei…” found its way to the CD Goblin: Their Hits, Outtakes and Rare Tracks Collection 1975-1989 (DRG) from 1995. The same year, an odd bootleg turned up in Italy from label Telemanni of the scores to Zombi/Patrick; for some reason a bonus track called “Mall Musiche” is included on the disc and fans will note it’s not Goblin but just the U.S. versions’ library Muzak. SLC/Cinevox (SLCS-7151) delivered to their Italian market Amo Non Amo: I Love You I Love You Not in 1986, which included “Zombi”. In 1999, Italy released three Goblin collections. Volume I: 1976-1978 contained track written for the movie but later inserted in Italian prints of Romero’s Martin called “Vampyr.” Volume III: 1978-1984 even had the bald head on the horizon on the cover. Twenty six years after they were culled from the DeWolfe/Rouge/Hudson Library of needledrop music, Trunk Records released on May 19th the “Unreleased Incidental Music” score to Dawn of the Dead. Available on CD (JBH011CD), or LP – limited to 500 – (JBH011LP) with liner notes. Featured tracks: “The Gonk” (H. Chappell), “Cosmogeny Part 1” (P. Lemel), “Sinestre” (E. Towren), “Cause I’m a Man” (P. Reno), “Figment” (S. Park), “Mask of Death” (J. Trombey), “Scarey 1” (D. Scott), “Scarey 2” (D. Scott), “Dark Earth” (J. Trombey), “Mall Montage Scene (We Are The Champions)” (R. Tilsley) + “Ragtime Razzamataz” (H. Chappell) + “Tango Tango” (B. Stoller) + “Fugarock” (D. Scott), “Barrage” (J. Trombey), “Desert de Glace” (P. Arvay), “Sun High” (S. Park), “Dramaturgy” (P. Lemel). The cover is kooky, alternative monster artwork from Europe. On a related note, the obscure death metal band Cancer used a familiar image on their album To the Gory End.